Welcome to RENMEN Foundation’s blog. Those of us who have visited this magical oasis of love feel compelled to share its story. If you have an opportunity to visit, you will see that the children and youth who reside at the Foundation are sweet, happy and loving. 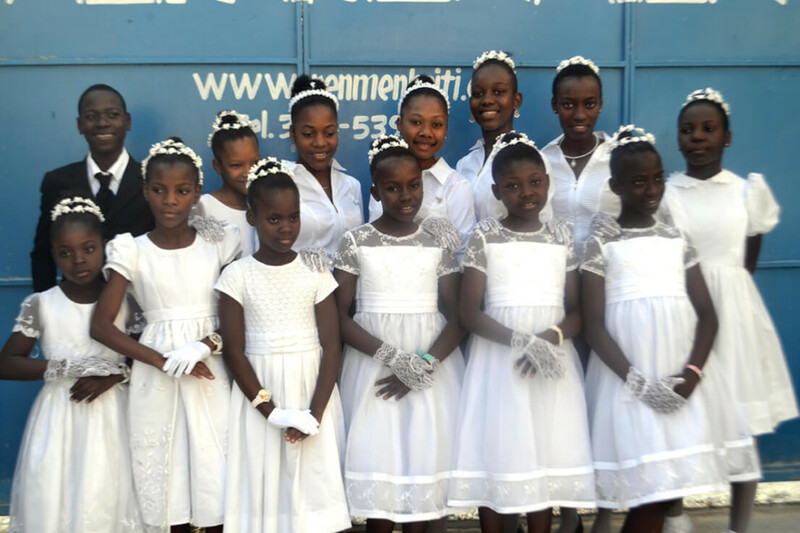 RENMEN means love in Creole, and these children will truly surround you with love when you are there. 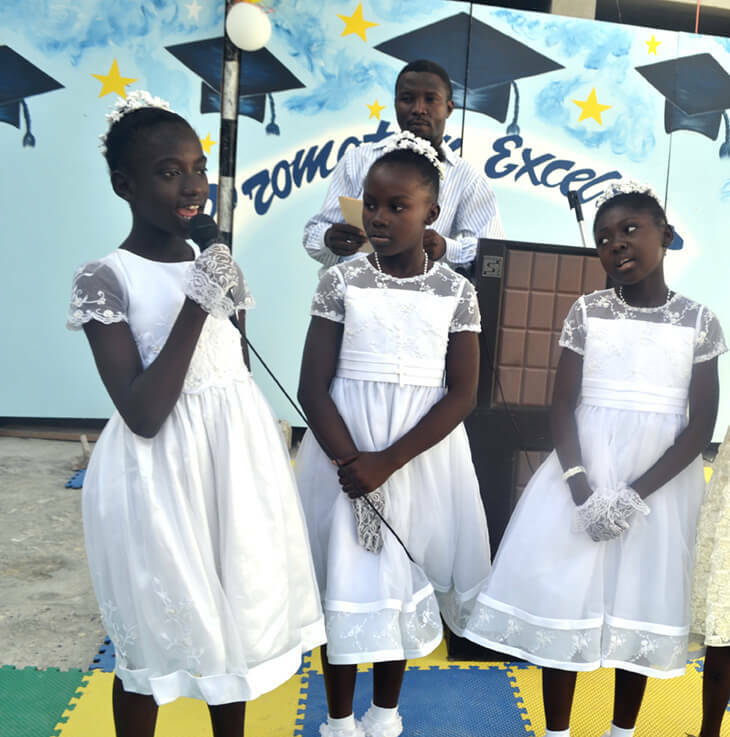 These children also represent hope for Haiti’s future. RENMEN’s founder, Florence Thybulle, is a woman of formidable conviction. She is truly an inspiration to all who come in contact with her. During the past twenty-three years, she has managed to keep this beautiful project going with little more than a wing and a prayer. In Haiti, orphanages do not receive any type of governmental support. Everything many of us take for granted – clean water, electricity, access to quality food, affordable schooling – can be considered quite a luxury there. Feeding, clothing and most of all, providing an education, to that many children is an ongoing daily struggle for Madame Thybulle and her staff. Through this blog, we will keep you posted on what’s happening at RENMEN, as well as the different needs we encounter along the way. 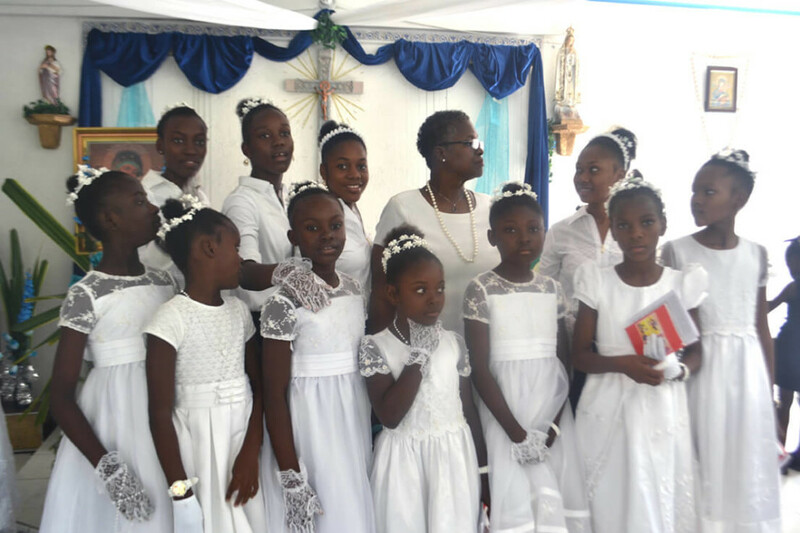 Today, we want to share with you a few photos from the most recent event where thirteen of the youth celebrated their First Communion. As usual, Florence moved heaven and earth to make this event happen. 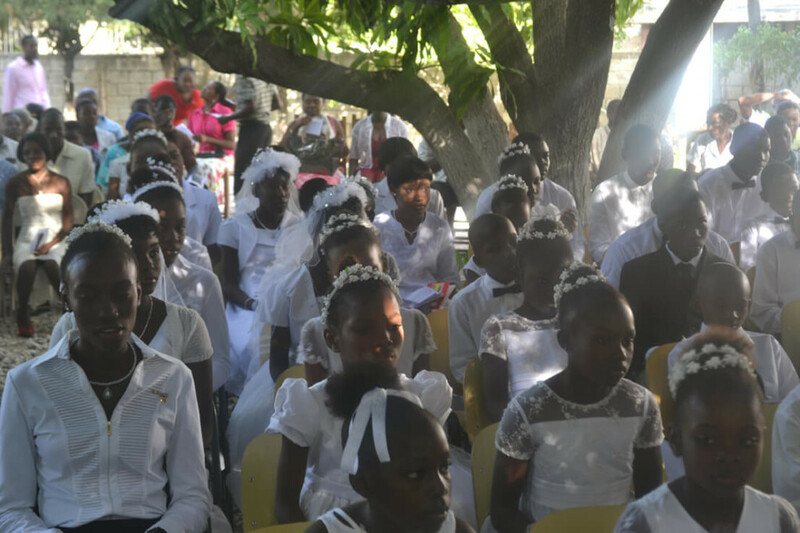 The parish priest had rules for the participants: the girls had to wear white dresses and gloves, and the boys black blazers. With little funds, Florence somehow managed to make sure each one looked resplendent. She even purchased inexpensive oval foam cores to create a layered cake for the reception. Always thinking of how to make a little side money for the many needs of the orphanage, Florence plans on making these available for rental for weddings and special occasions.